Robert Mays @ The Ringer writing another good human interest article, this time on Deshaun Watson. Great article. Despite my whining earlier in the season, I'm definitely a believer. I think what's holding Watson back now is O-line play and playcalling. Plaxico Burress tries to diss Mark Sanchez on Twitter, shoots self in thigh instead. I completely forgot Sanchize threw passes to Plaxico. That sounds like something from a different life. There's a new spring developmental league in the works called the Freedom Football League. This one is partially owned by a number of players. About 50 of the 100 stakeholders is an ex-player including Ricky Williams, Terrell Owen's, Simeon Rice, Byron Chamberlain, Jeff Garcia and Dexter Jackson. Starting cities/teams are San Diego Warriors, Oklahoma City Power, Portland Progress, Texas Revolution, Ohio Players, Florida Strong, Birmingham Kings, St. Louis Independence, Connecticut Underground and Oakland Panthers. Not sure I understand why they would name a team the Panthers, but okay. Jags-Titans? Where's a vomit emoji when I need it? Now there are two like 4 of them! Do you think the Jags D took a step back when they traded Dante Fowler? I think so. He was a very important piece of their D, obv. He had a sack in Week 10 AND one in Week 13. You can't easily replace that kind of talent. Not tackling Derrick Henry all night was an interesting choice by Jacksonville, but I respect it. Jaguar football is trash football. 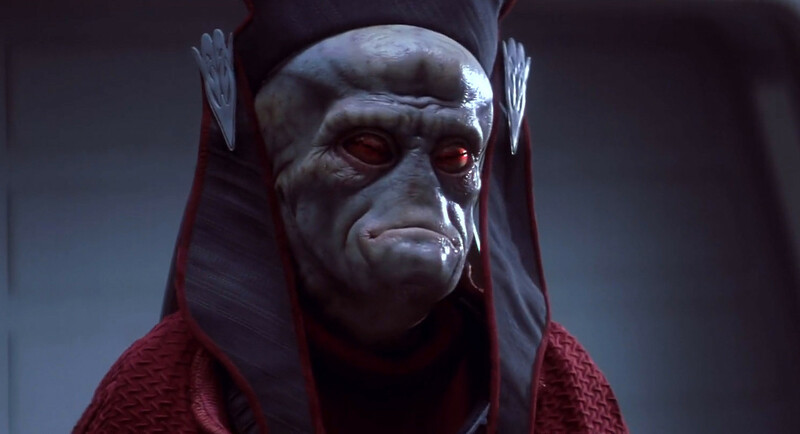 Now I want a redub of The Phantom Menace where all the Neimodians are voiced by Janice from the Muppets. Going to the Niners game Sunday. And now I'm remembering why, at the start of the season, I had picked the Denver game to go to. That's the type of tackling effort you usually see from the Eagles.. I'm impressed. Huh. The other day I saw some wrasslin' friends tweet that XFL plans to start in 2020. I feel like we're watching everyone try and come up with a GameBoy Killer. Nah, Eagles would have gone for the feet and missed spectacularly. The Alliance of American Football is supposed to beat the XFL to the punch by starting in February. These other leagues should allow 18yo's to play and compete against the Trade Alliance...I mean the NCAA. Lamar Jackson on TV 3 weeks in a row here in NC. Love it. I also get to see Breshad Perriman and GREG ROBINSON live and in person! And when their battledroids are combined with ours, we'll have the largest army in the galaxy. Who has the over for the Fins/Pats game? Well, Jackson can run. 3/7 for 36 yards passing in the first half against the powerful Chiefs pass defense. But the 40 yards he ran for totally makes up for that. The Chiefs struggled their way to 17 first half points. Fresno St. could beat the Washington team today. This game should been the Thursday nighter it's so bad to watch. Washington is so garbage I'm having a hard time enjoying this win. This is absolutely pathetic.